Tiki drinks are not my first drinks choice. I have this prejudiced idea that they’ll be too sweet to my taste. 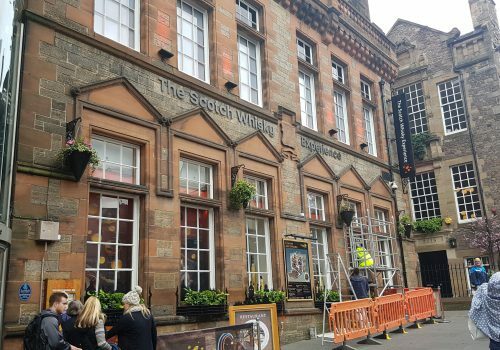 However, when a French girl I met in Edinburgh and who was as passionate as me about mixology, talked positively about The Auld Reekie Tiki Bar, I decided to visit it. 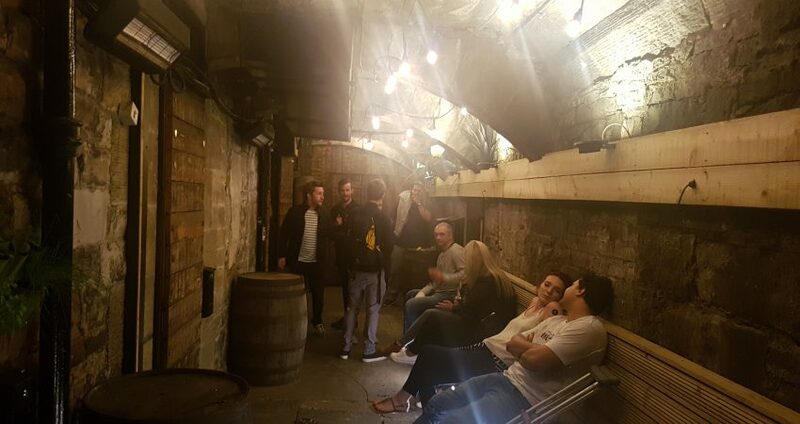 The bar is located underground in Edinburgh’s New Town. A vaulted passageway with benches leads to its entrance. 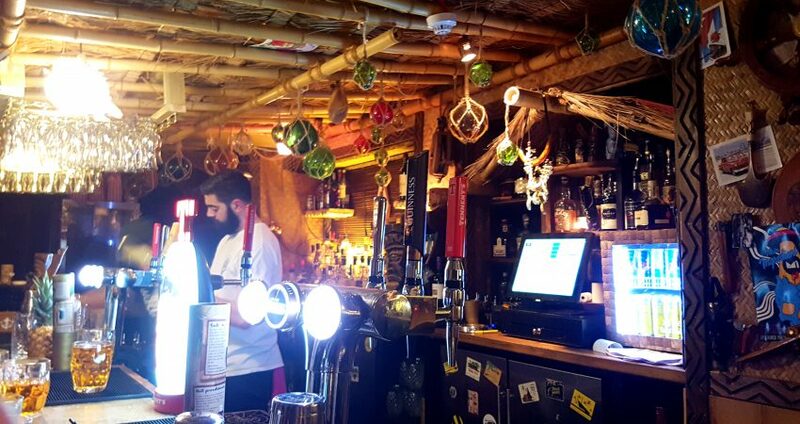 As its name indicates, The Auld Reekie Tiki Bar is a Polynesian-themed bar. 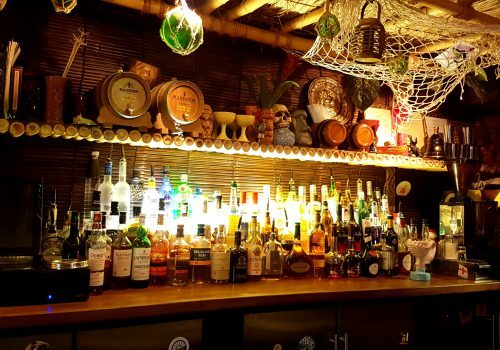 Bamboo bar, Tiki mugs and statues, mini palm trees, everything – except for the pop music and the absence of Hawaiian shirts on the bartenders’ backs – everything in the decor screams Tikki and island life. 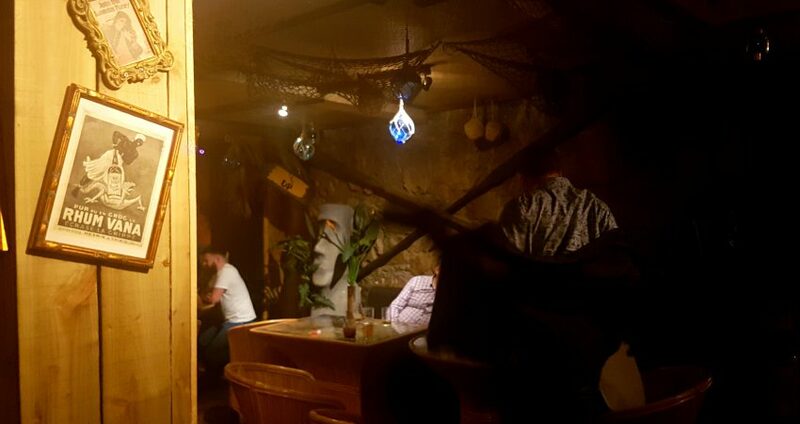 I visited The Auld Reekie Tiki Bar circa 3 am on a Friday night. The first room was reasonably full with people occupying all the tables and seats, while the back room was still empty. 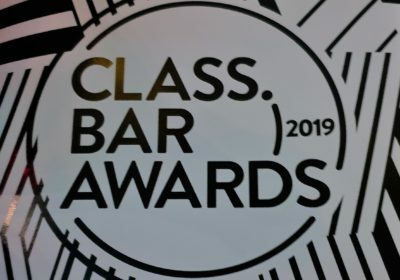 The bar room, on another hand, was really busy with people – mostly people in their 20’s – lined up in 2 rows to pass their order. I squeezed in to grab a menu. The cocktail menu lists two dozen cocktails on a two side table set like menu. The drinks are all tiki obviously. 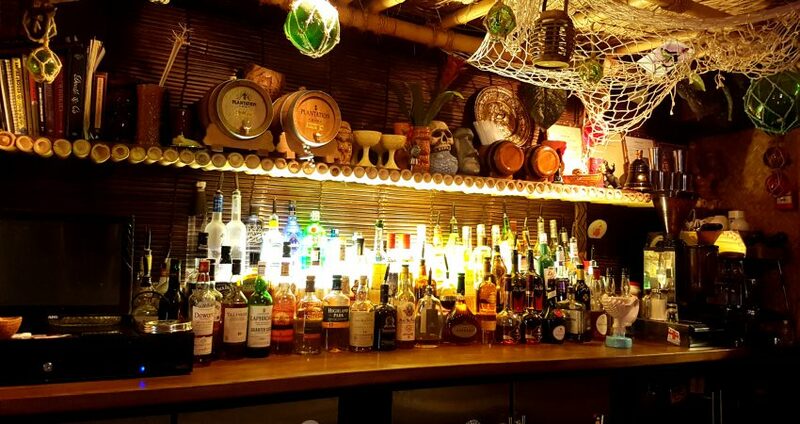 Some are “classic” Tiki cocktails, some are creations from contemporary bartenders from other bars and some are Auld Reekie Tiki Bar’s creations. The Salt n’ Sauce is the bar’s take on the Cuba Libre. 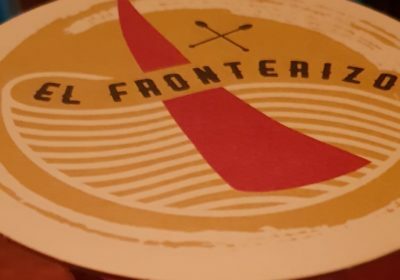 It blends Sailor Jerry Rum, Cola, vanilla, lime and spiced and salted bitters. 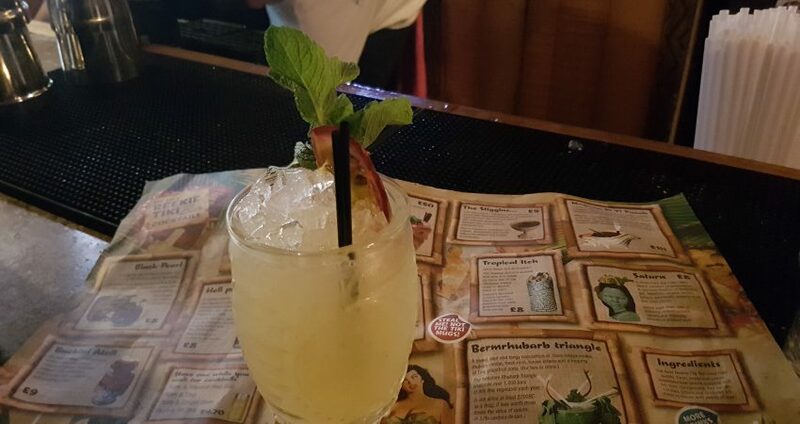 There is also a twist on the “classic” Zombie with a blend of five oak aged rums, apricot brandy, falernum, grenadine, cinnamon, absinthe and pink grapefruit, pineapple, lime juices. One last twist I’ll share here is The Stiggins, a pre-bottled take on the Vieux Carré, with Plantation pineapple rum, cognac, Benedictine and house bitters. There are also a few cocktails to share and punches. 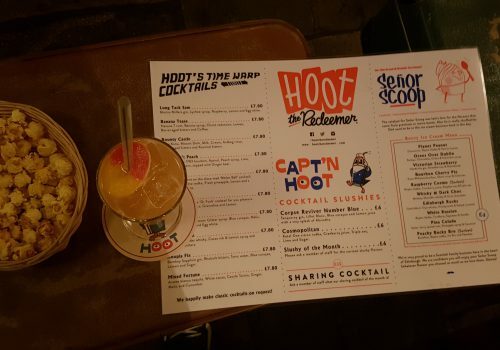 One of them, the Arthur’s Seat Volcano (Bacardi rum, pineapple, pink grapefruit juice, absinthe and house ginger beer “with a flaming eruption of Wray & Nephew overproof rum”), is named after Edinburgh’s iconic landmark. 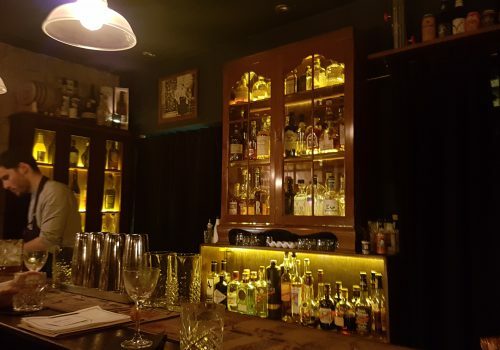 Each cocktail is listed with either a quote or a story related to its name. 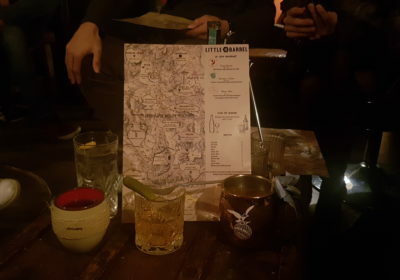 I ordered a Saturn, a mix of Beefeater gin, falernum, orgeat, lemon bitters, pineapple, passion fruit and lime juices. It was light and refreshing and not oversweet (there goes my prejudice!). My only disappointment was that it wasn’t served in the Tiki glass it was advertised with on the menu. Maybe it had something to do with the fact people seem to steal the Tiki mugs. A fact suggested by the “Steal me! Not the Tiki mug” sentence on the menu. That also explains why the menu is printed as a table mat! 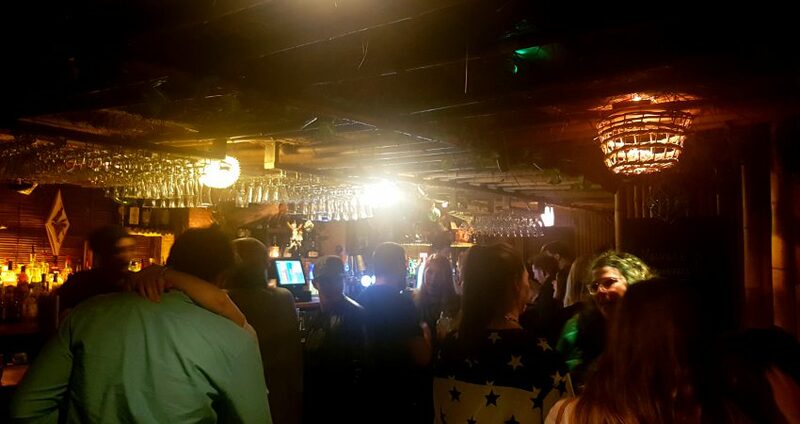 I really liked the lively atmosphere and the drink I had. 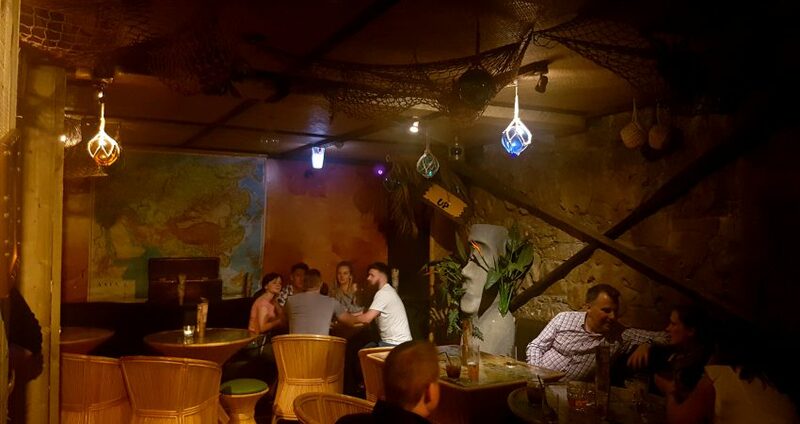 Also The Auld Reekie Tiki is one of the few cocktail bars opened past 1 am in Edinburgh. All the more reason to go back on a next visit to Edinburgh.